I always wonder what it is like in the sea. Do they also have schools for the fishes to attend? Are there supermarkets, and playgrounds and parks? And where do they go if they fall sick? Do they have hospitals? 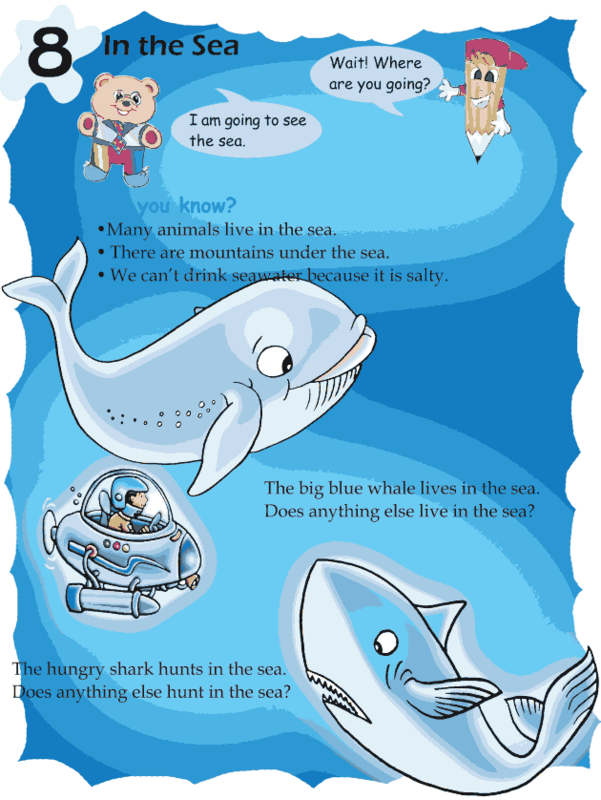 And what kinds of creatures live there in the sea? Do they resemble us? Let us see if we can find out from this poem.